O disco, que sairá em 3 triplo, foi registrado durante a turnê europeia de 2015. 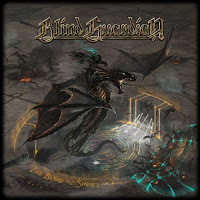 CD1: "The Ninth Wave", "Banish From Sanctuary", "Nightfall", "Prophecies", "Tanelorn", "The Last Candle", "And Then There Was Silence". CD2: "The Lord Of The Rings", "Fly", "Bright Eyes", "Lost In The Twilight Hall", "Imaginations From The Other Side", "Into The Storm", "Twilight Of The Gods", "A Past And Future Secret", "And The Story Ends". CD3: "Sacred Worlds", "The Bard's Song (In The Forest)", "Valhalla", "Wheel Of Time", "Majesty", "Mirror Mirror".